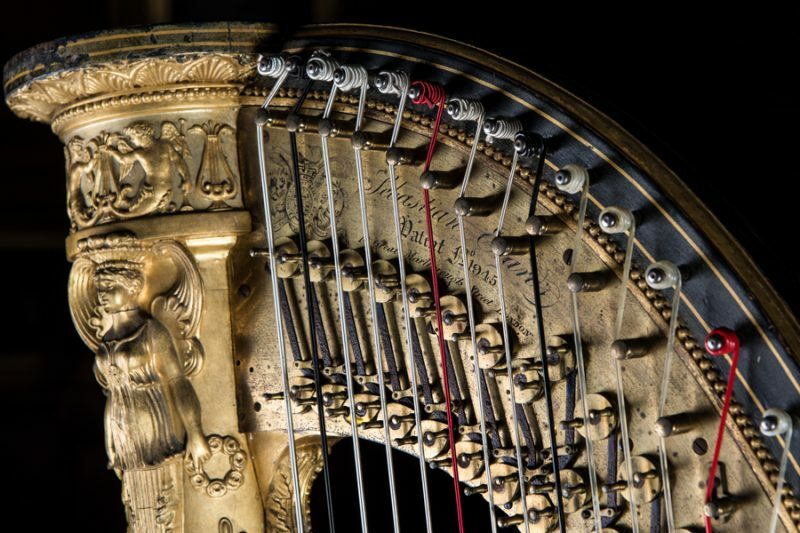 Grecian Erard Harp from our collection is now ready for our special Harp Celebration day on 1 July, part of our Summer Festival. 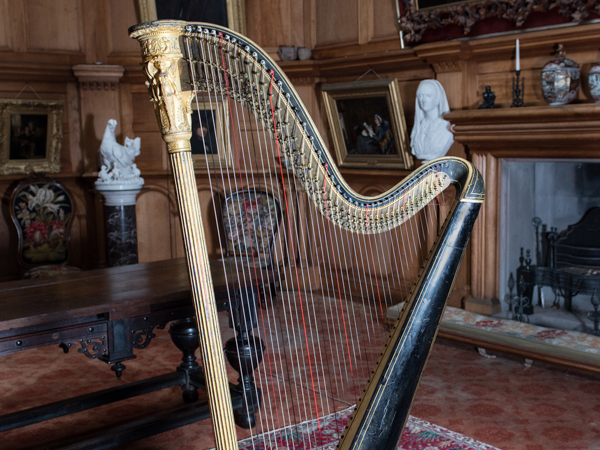 We are delighted to be able to announce that Hospitalfield’s Grecian Erard Harp has been restored by Pilgrim Harps and returned to us. 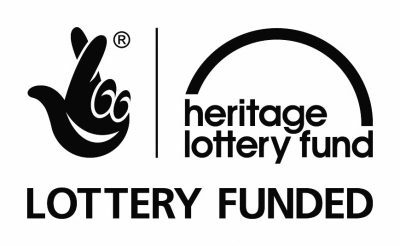 In September and October 2016 we raised money for the restoration through our Crowdfunder campaign. We are immensely grateful to all those who pledged during that period and look forward to meeting everyone on the 1 July for the events. 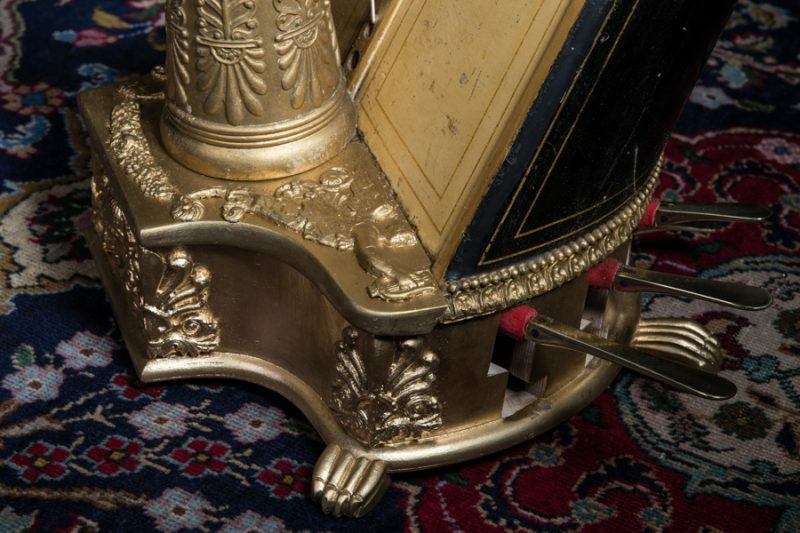 We now have some spaces available for booking at the talk, concert and supper – opened up so that more people can enjoy the harp but also so that we can cover the costs of the repairs which were higher than anticipated because the base of the harp was found to be in much worse state than first thought. 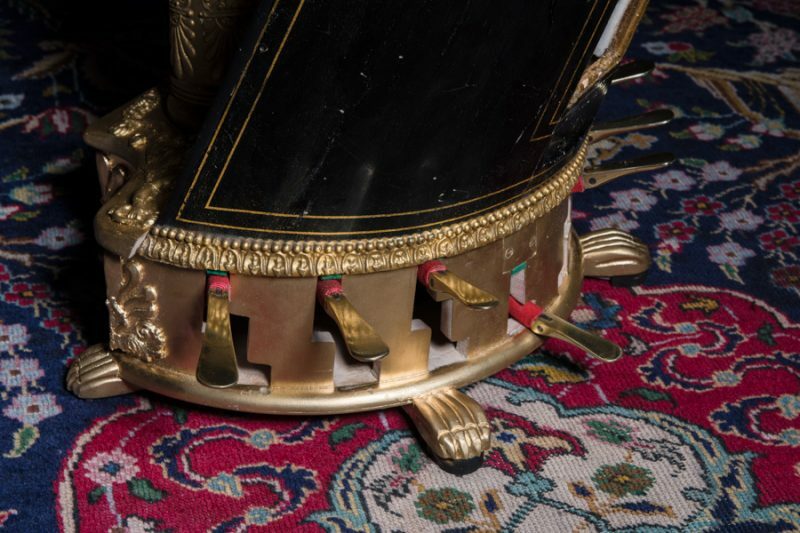 The elaborate wooden base, which houses the pedals, crumbled on inspection at the workshop on arrival and has been totally rebuilt.